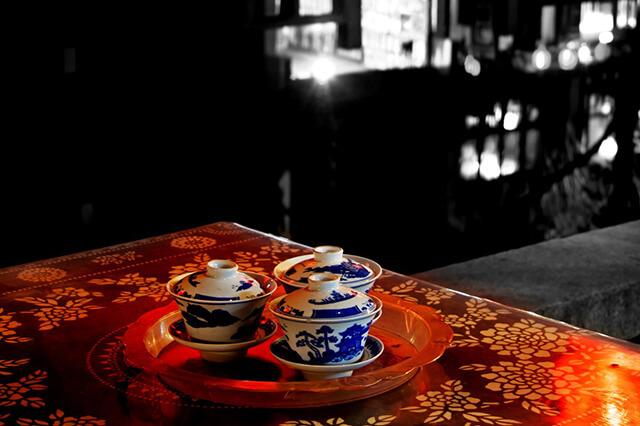 Zhouzhuang Ancient Town, located in Kunshan City, Suzhou of Jiangsu Province, has a long history. It is named as “the most charming water town in the world” and appraised and elected as one of the “five most beautiful water towns in China”by CNN. 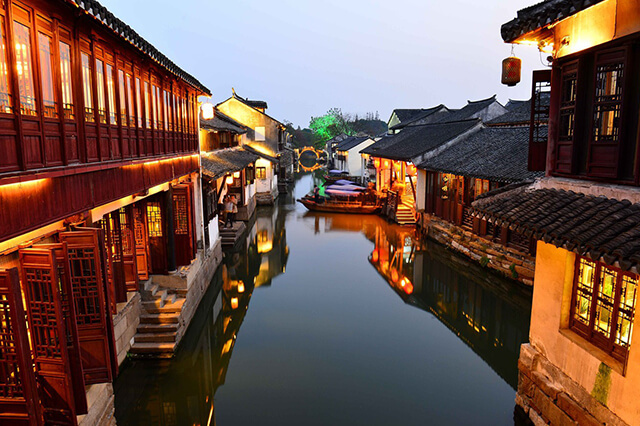 Zhouzhuang Ancient Town is densely covered with water network, and it is with numerous lakes and streams. People there just live by the side of water. They built many traditional Chinese style buildings and lots of wonderful bridges. Zhouzhuang Ancient Town is rich in aquatic products, such as fish and shrimp which is fresh and vegetables and other food materials that are seasonal, of delicacy sorting and light taste, for which the color, aroma, taste and form are all wonderful. Also there are a lot of cakes and pastries that not only taste delicious but also looks quite fine. People of good life wisdom also created a lot of exquisite handicrafts, such as various solid durable life appliances which are made of fine bamboo filaments, cloth weaved out of with ancient spinning and weaving tools, as well as stone carving that are engraved so lifelike and so on. Zhouzhuang Ancient Town is close to Shanghai and Suzhou, so the transportation is convenient, and you can arrive and depart day in one day; also you can stay for a night, wandering about the very individualizing attractions and stores here to experience the ancient features of water towns in regions south of the Yangtze River in China, or rowing the boat and shuttling back and forth in the river to appreciate the slow and interesting life rhythm of the ancient town.